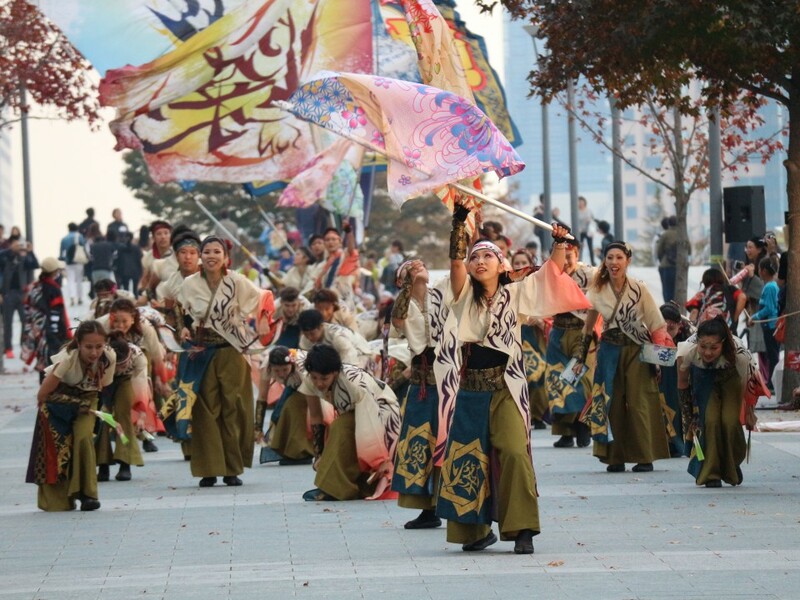 The 16th “Dream Yosakoy Festival” was held in Tokyo over the holiday weekend with some 70 teams from around Japan gathering in the capital to perform at five locations across the city. 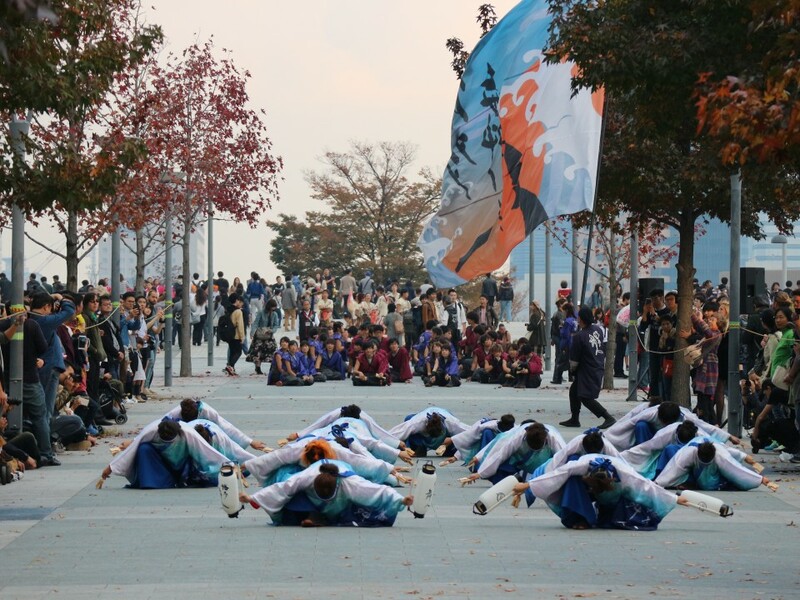 Most of the yosakoi action was concentrated in the waterfront district of Odaiba with performances outside the Fuji TV building, near the Gundam Unicorn statue outside DiverCity and a thoroughfare set to the backdrop of the Odaiba Statue of Liberty and Tokyo Bay beyond. 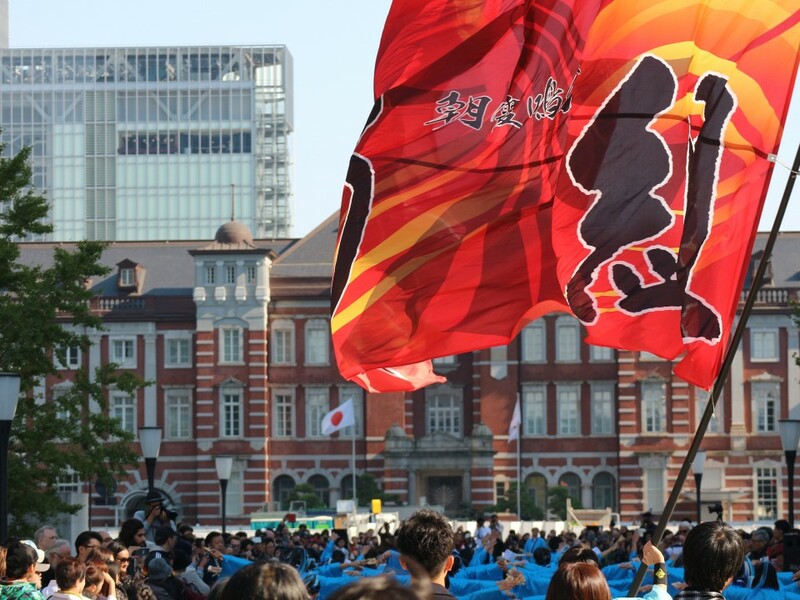 Further locations in Tokyo’s Marunouchi and Akihabara districts are testament to the scale of “Dream Yosakoy” as being one of the largest and most popular festivals hosted in Tokyo, attracting some 800,000 spectators. 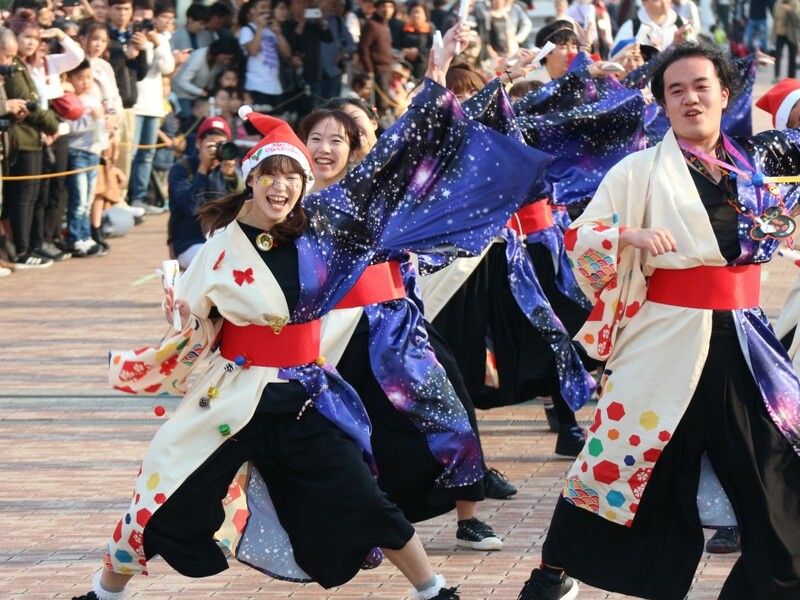 “Dream Yosakoy Festival” (ドッリーム夜さ来い祭り) traces its roots back to the city of Kochi in Shikoku which held the country’s first yosakoi event as part of efforts to bolster morale after WWII and the mood of uncertainty that was prevalent in Japan during the 1950s. 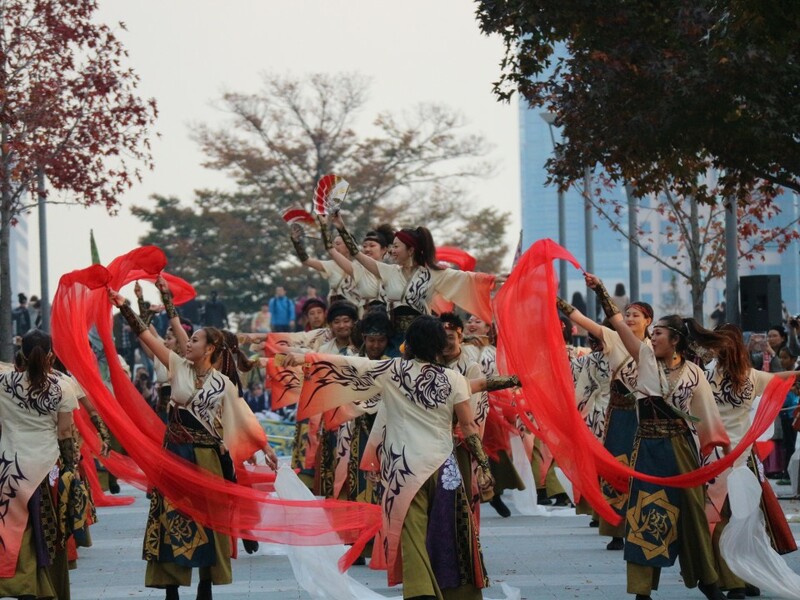 The inaugural festival in Tokyo was held in 2002 and today continues some of the “yosakoi” traditions, namely the use of the song “Yosakoi Naruko Odori” in each troupes performance. More than the preservation of tradition, however, “Dream Yosakoy” keeps its eyes firmly on the trends and moods of the present giving performers free license to reflect their own influences and tastes through costume, dance choreography and adaptations of the music. The result is a feisty mix of raw energy, guttural howls, and bold colors as groups charge down the festival catwalks(?) to a soundtrack of rock, dance, hip hop, and samba - a stark contrast to the often plodding melodies of, say, a summer Bon Odori. Perhaps it’s a survival instinct, and a savvy one at that. 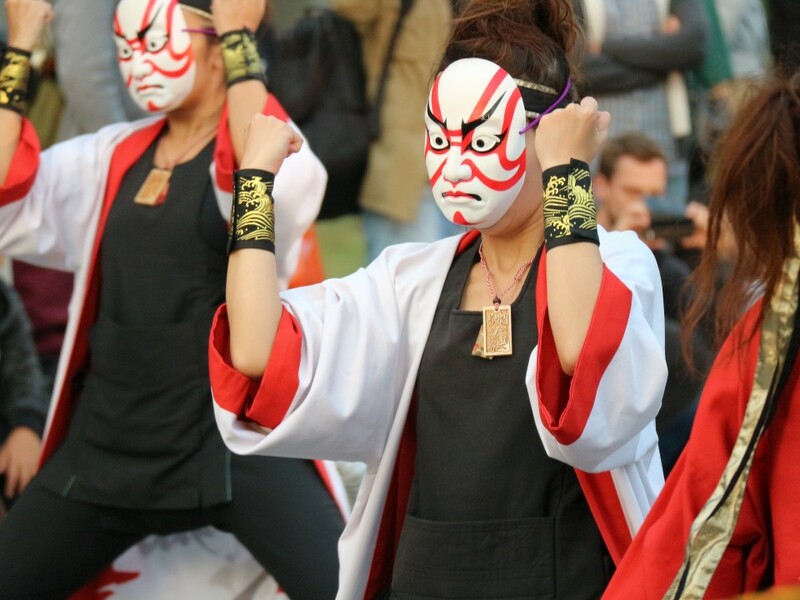 While some of Japan’s traditional art forms play catch up with their own appeals to the modern audience (kabuki adaptations of “One Piece”) and others look to tourist influx ahead of the 2020 Olympics, “Dream Yosakoy” seems to have found its own place and its own momentum. Last year festival organizers mentioned spectator numbers as around 600,000. This year the number has risen to 800,000. Not even five venues across a city the size of Tokyo is enough to satisfy the appetite for “Dream Yosakoy”. 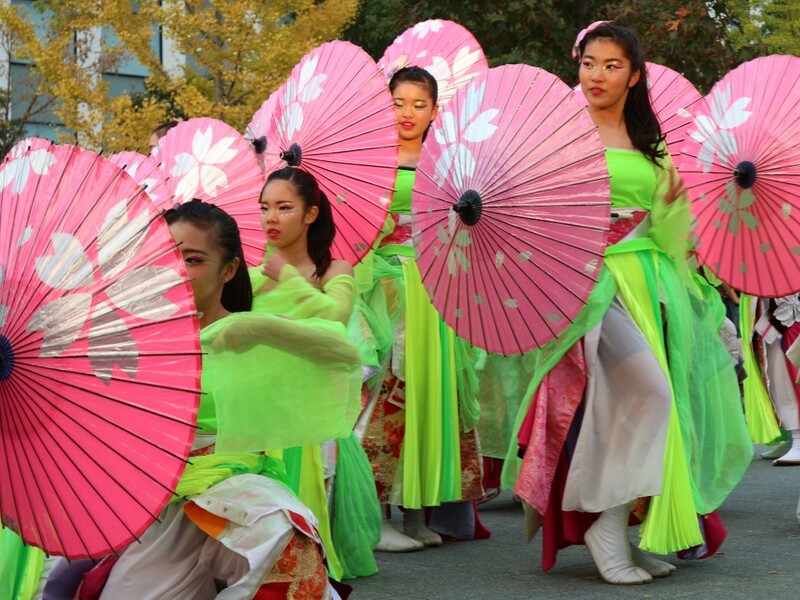 2017 will see the 3rd edition of the “Dream Yosakoy Matsuri in New York” held in the city’s Times Square. 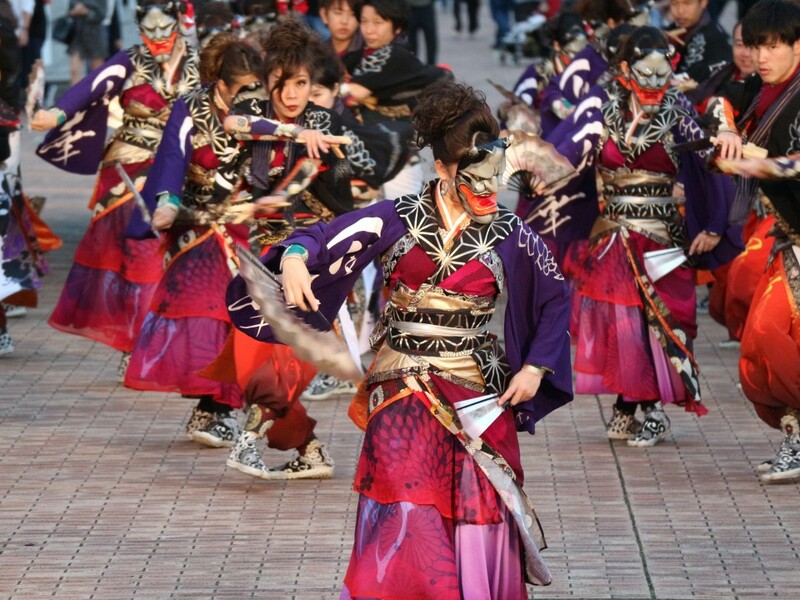 Yosakoi dancers stomp, charge, snarl and growl and down dance venues resembling a catwalk. While many dances are infused with moments of quiet grace, they typically come to a dramatic climax in front of a bank of camera lenses at one end of the catwalk. 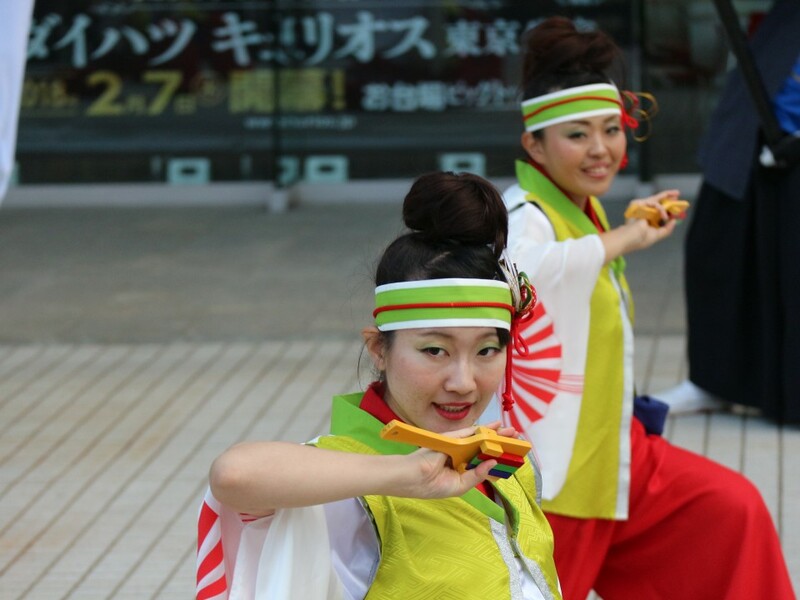 “Naruko”, hand-held clappers (above), are a common prop used by yosakoi dancers. 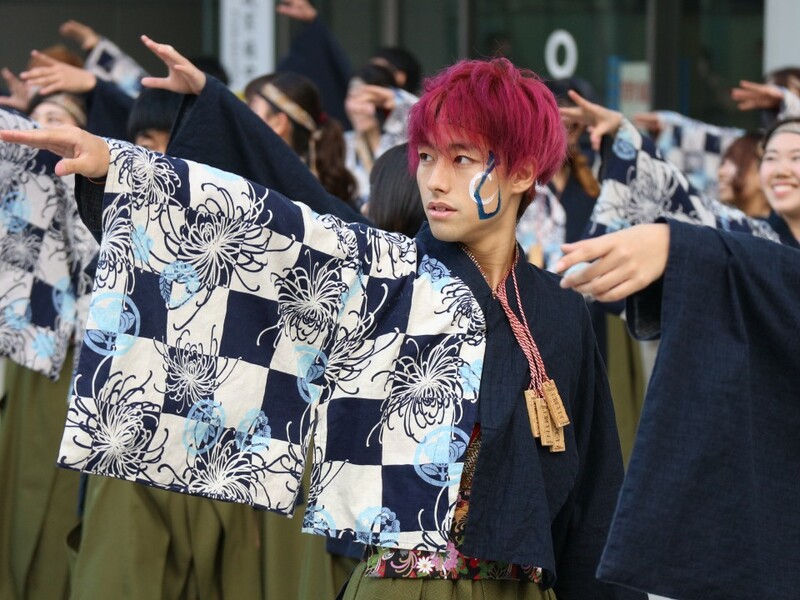 In keeping with the tradition of not being bound by tradition however, dancers at the “Dream Yosakoy” in Tokyo are free to wield props of their choosing which often include umbrellas, fans, and ribbons. Despite each dance lasting only around five minutes, many performers still find the time for a frantic costume change, often behind portable decorative screens. 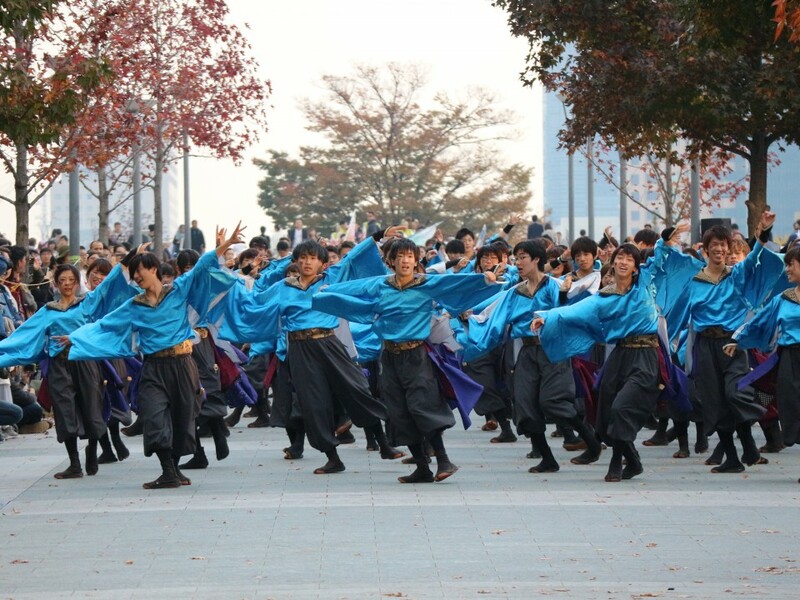 Testament to the scale and popularity of “Dream Yosakoy”, dancers also make the charge to other points in the city, such as the broad avenue extending from Tokyo Station. 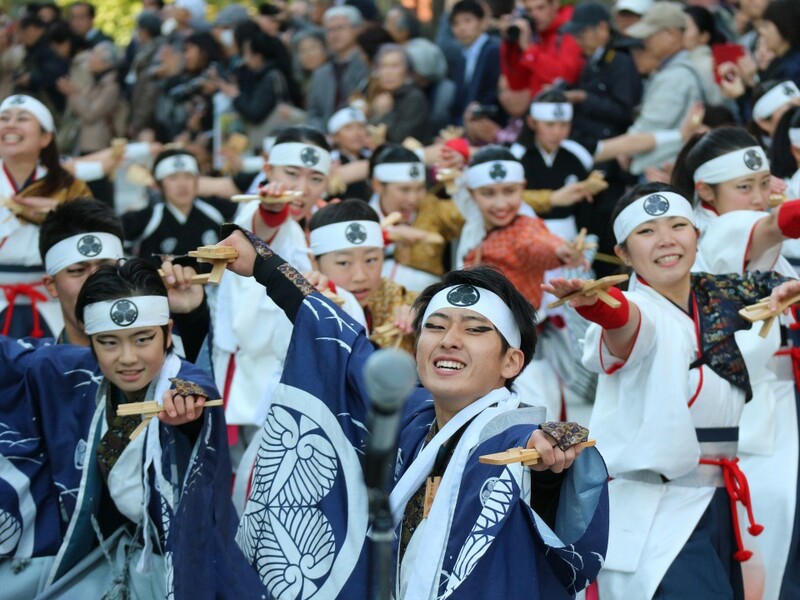 Images from the "Dream Yosakoy Festival 2016"